Hi All - I hadn't seen anyone posting any pictures, so I just thought I'd share a few that I took on Saturday morning when I was there. Sorry I didn't get pics of everything - you can see my pics are mostly focused on a few layouts - and sorry for not crediting ANYONE with builds but I didn't get everyone's name because I'm not that organised. What you can see is builds by @Huw and @Paperballpark with their GBC (pics don't do it any kind of justice), as well as others by @LostInTranslation and @drdavewatford ; - please tag yourself in this thread if any of the builds were done by you too as credit where credit is due! I took a load of pictures on Sunday morning, as well as a video of our GBC on Sunday afternoon. I'll try to get them posted tomorrow evening. Great pics, @mr_benn, and good to see you at the show! Thanks for the pics @mr_benn I missed out again this year due to work. Can’t wait to see more pics. 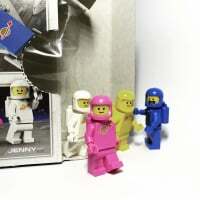 @Legopants has loads on the What's your LEGO 'status' today? thread.